The national leadership of the ruling All Progressives Congress (APC) says the party had nothing to do with the March 9 governorship election in Rivers State. 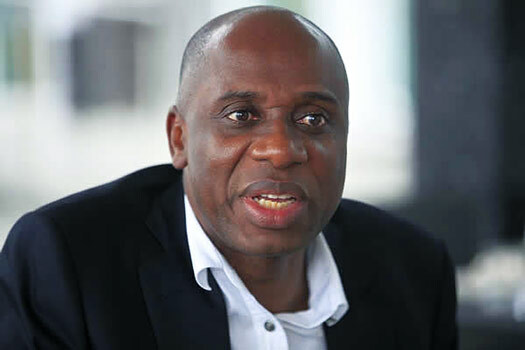 Recall that the leader of the APC in Rivers State and Minister of Transportation, Mr. Rotimi Amaechi had asked members of the party to support the governorship candidate of the African Action Congress (AAC), Mr. Awara Biokpomabo. While confirming the position of the state chapter of the APC on the election, Amaechi’s spokesperson, Mr. David Iyofor had told journalists that the leadership of the party had agreed to support AAC. However, following Wednesday’s declaration of the candidate of the Peoples Democratic Party (PDP), Governor Nyesom Wike as winner of the election by the Independent National Electoral Commission (INEC), the APC said it had nothing to say on the conduct of the poll. Asked about the position of the party on the final result of the election, the National Publicity Secretary of the APC, Mallam Lanre Isa-Onilu told journalists that the party did not contest elections in Rivers. Isa-Onilu maintained that it would not be proper to immediately comment on what transpired in the election since his party was not part of it.